Hitting the road is far from jumping on a train and heading to the candy land. There are already dozens of articles that warned you to prepare before you start your trip as much as possible, however, it is inevitable to miss a thing or two that could save your life or to make sure you will keep yourself away from the harm of this lifestyle. One of those simple things are to remember to pack a reliable water bottle. Personally, I own a travel water bottle filter that I use as often as possible. Having my own water saves me some pennies, stops me from purchasing plastic bottles, and of course, making sure I only drink clean and filtered water. Especially when travelling Southeast Asia or rural areas, it is too risky to just drink water from the tap. Using these water bottles is another way to start using Eco-friendly travel accessories and products. 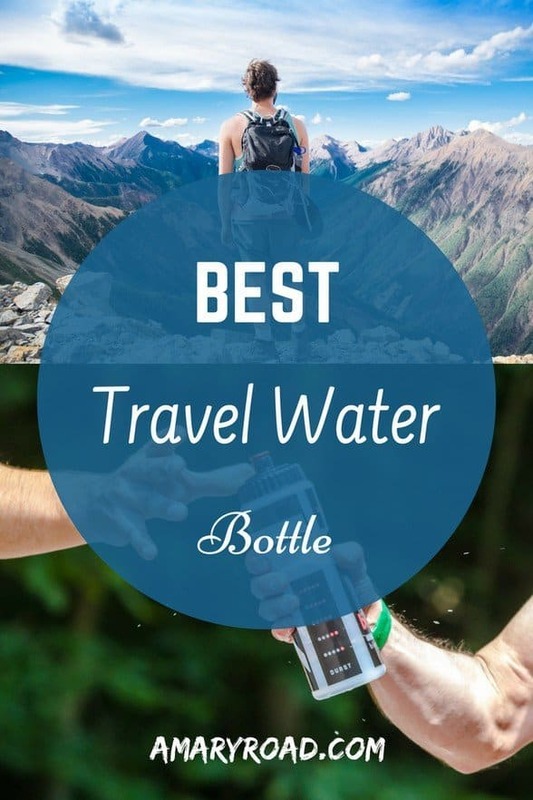 Here you will find the top filtered water bottles to bring with you on your next trip. Remember to check out its pros and cons to make sure you find what is the most suitable for you. You should not just jump in and buy whatever water bottle out there is available or cheapest. You should know what to look for a bottle to bring with you on a trip, one that meet your needs and can be useful throughout your trip. Here are some useful characteristic a good travel water bottle should have. Make sure that the material is great; free from harmful chemicals or plastic materials. The material shouldn't be too heavy or else it will add weight on your luggage which is not ideal for travelling, hiking, camping or longer trips. You also don't want to get ones that get rusty or not not BPA-free. First, ask yourself, do you need a bottle that can insulate the heat or coldness of the liquid? Maybe a bottle that can filtrate or filter a dirty water and turn it into drinkable one? There are a few types of water bottles that have different purposes such as insulated bottles, filtration bottles, foldable or collapsible bottle which free up some space in your bag when empty. So, ask yourself, what kind of bottle do you need for this trip? The weight should be considered properly specially if you have limited space or will spend a lot of time walking and carrying all your travel gears. In this cases, you should get the most lightweight bottle in the market. How much volume can this bottle hold? 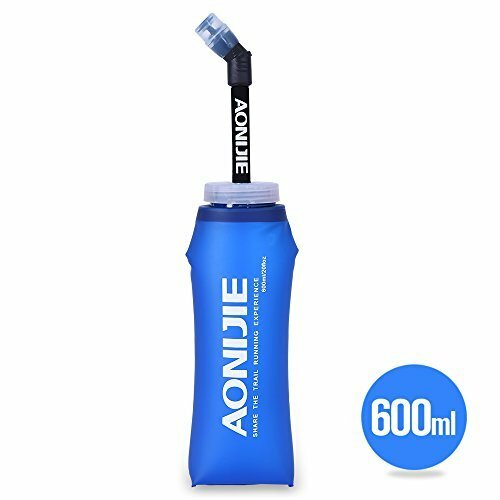 Personally, I have a 750 ml foldable bottle, it's decent enough for everyday use but if I will go hiking, I will definitely get a litre or up to 5 litre one. Make sure to get a water bottle that can hold enough capacity for the type of trip you will use it for. Not all expensive water bottles are good while not all cheap bottles can last long. The best is to know how much are you willing to spend for a water bottle for your trip. Just make sure not to cheap out or else your bottle might not last that long. Remember to get the bottle that is suitable for you. If you are in a hurry, you can check the comparison table below. 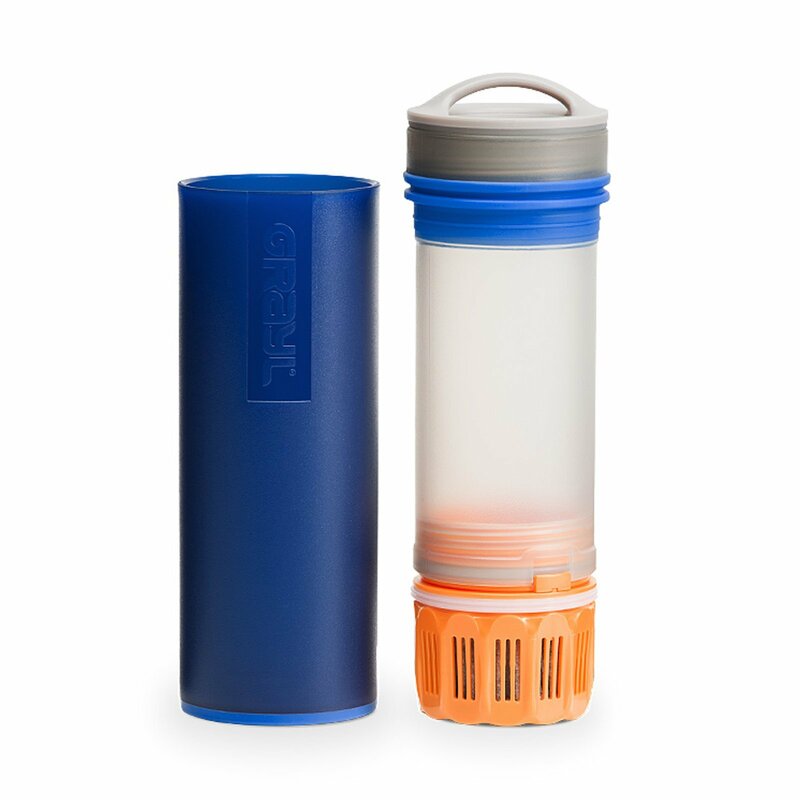 If you need more information regarding these travel water bottles, simply scroll at the end of the table. 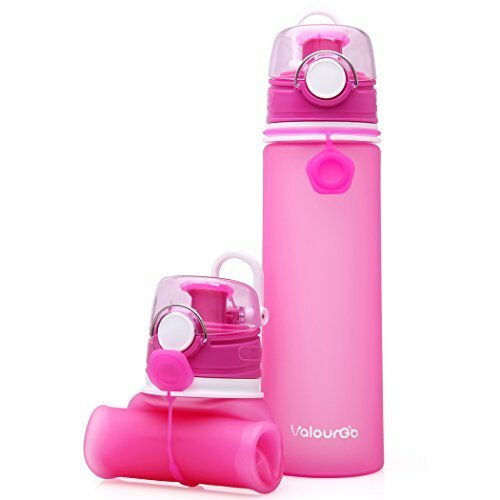 Below, you will find different types of travel water bottle such as collapsible bottles or fold-able bottles, insulated bottles, and purifier and filtration bottle. All of them are Eco-friendly, reusable, and great for outdoor activities especially travelling. NOTE: Prices may vary depending on your location. Why is it one of the best filtered water bottle for travelling? 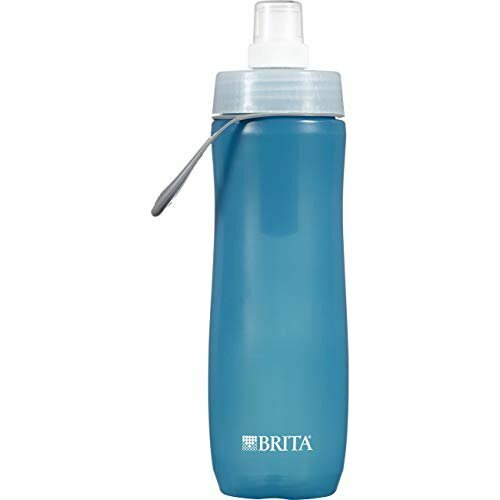 This filtered water bottle from Brita has a fitler on the go which cleans the water and make it drinkable easily. It improves the tasting and reduce the chlorine taste and odour which you normally can find in tap water. It has a loop that makes it easy to carry and a straw to make it easy to use. You can place this bottle in a dishwasher rack for cleaning. KOR Nava's 650 ml filter water has a coconut-shell filter straw, a push-button cap which makes it easier to use. The filtration happens while you drink which helps to improve its quality and remove bad chemicals from the water. The filter sould be replaced every three months to keep on top of its performance. 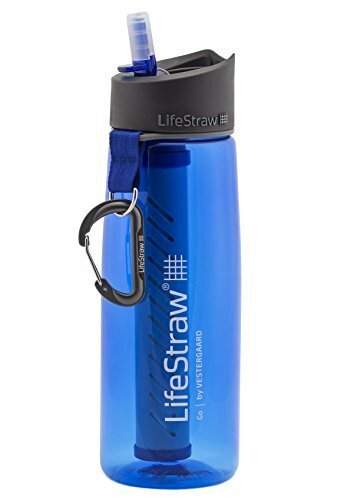 The LifeStraw Go isn’t only ideal for travelling, it’s also a must-have on your emergency kit. This water bottle comes in two variants – 1 and 2-stage filter. The 1-stage filter water bottle filters and removes different water-borne bacteria, while the 2-stage filter adds the function of the carbon filter, reducing odour and chlorine content. Both types ensure that your water is clean and fresh every single time. It is made from a sturdy, leak-proof, and BPA-free bottle with silicone mouthpiece. Why is it one of the best filtered water bottle? I personally use this one for more than a year now, from the Middle East to Southeast Asia. Grayl has been one of the best travel gears I have in my backpack. From its double purpose of travel water bottle to its function of filtration, the Grayl Ultralight Water Purifier lives up to its name. Perfect for outdoor adventures such as spelunking and camping, it is easy to carry and very convenient to use. The best thing about it? No sucking, pumping, or squeezing needed! It's Fill. Press. Drink technology definitely helps in making your water clean and purified. The one-press purification function takes only 15 seconds to fresh out your water, keeping you safe from 99.99% of disease-causing bacteria. If you are looking for other types of water bottle for travelling, check out these collapsible or foldable and insulated water bottle. Why is it one of the best travel water bottle? Don't you just like it when your water bottle is insulated? I surely do. 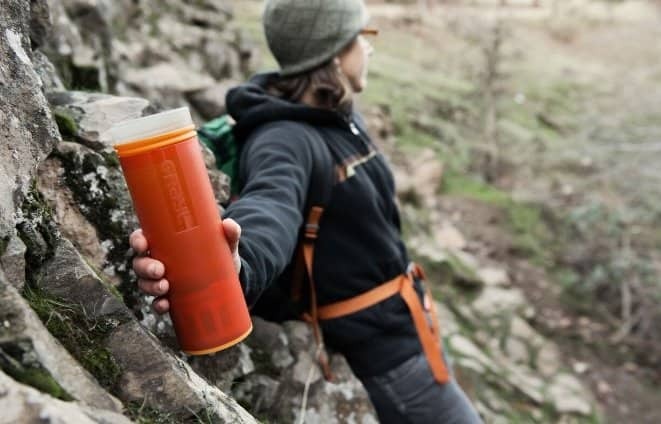 When you are doing a hike under a hot weather, you will definitely want a cold water to drink on your break, The Klean Kanteen Outdoor Bottle is what you need. Another thing about this travel water bottle is, how affordable it is. 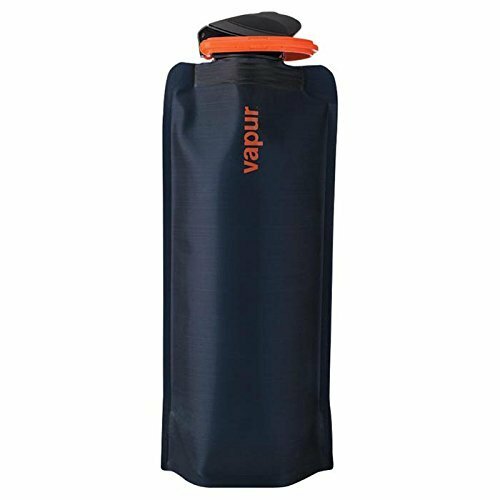 It's probably one of the cheapest on the category of insulated bottles but with good quality you will find on this list. It is also safe to place in teh dishwasher. Now, let's talk about the fold-able water bottle. When we decide to travel especially as a minimalist, we want everything to fit in our backpack to save space but at the same time have every must have in your luggage. Vapur Eclipse is the winner of this race - lightweight, affordable, safe and sealed (avoid all those leaking), and washable too. It stands up when full and fold-able when empty. I personally own a Vapur as well and love it so much, it's so easy to fold it when empty or let it stand when filled. Having a handy water bottle while going from one city to another is certainly a must-have for travellers, especially if you’re on for a tropical adventure! Keeping a water bottle with you won’t only keep you hydrated, it will also save you some money over the course of your trip. 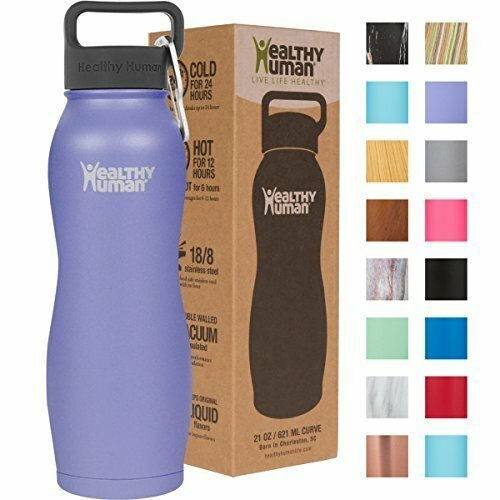 The Healthy Human Curve water bottle is efficiently insulated to keep your cold water cool for 24 hours, or your hot water warm for 12 hours. Its polished design is accented with a curve for easy handling and it also comes with a durable carabiner – just strap it over your bag and you’re good to go. 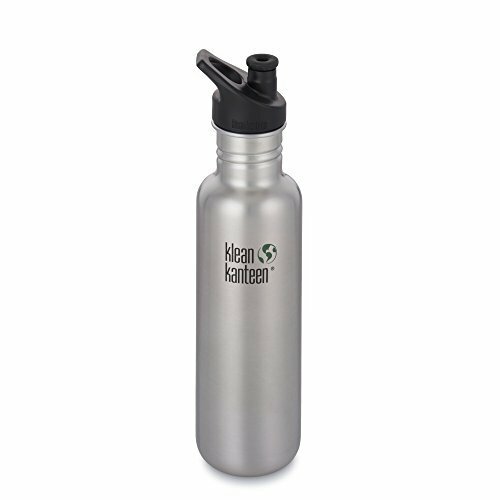 It is made from BPA-free stainless steel, which makes it beverage safe and leak proof. I've thought in adding another collabsible water bottle on the list to give more options for those who are for something different. This Nomader bottle is not lightweight and easy to carry, the top is meticiously made to make sure that there will be no leaking and the germs will kept out of the mouthpiece but at the same time it is very easy to use. When stading, this Nomader Collapsible Bottle almost looking like just a regular bottle. Aonijie brought an interesting water bottle on the market. This one is collapsible with long soft straw. If you are like me who hates taking out my water bottle every time I need to take a drink, this is the solution. Simply pack in your bag or on the side, strap the straws - no more wasted time taking out your bottle. This is very lightweight that also suits when you are running or doing other sports. There are a few things you should keep in mind if you want to keep you bottle for as long as possible. Here are some practical ways to care fr your water bottle during your travels. Do not fill your bottles with flavoured liquid such as juices, tea, coffee, or alcohol. The smell of these liquids stick on your bottle and can also cause stains. Prevent from filling your bottle water that is too hot unless it is an insulated water bottle. Regularly clean your water bottles, use a tiny drop of dishwashing soap, check with the manual if it's safe to place inside a dishwashing machine. Comfort and hydration are necessary for travelling. As a backpacker, having a water bottle on hand is a convenience you should never compromise! Don’t forget to bring one with you on your next hop-on, hop-off trip to make sure you only get to drink clean water while on the road. You also get to be Eco-friendly by not using more and more plastic bottles.